If you’re going to keep pace with data growth and not blow your budget, you’ll need a means of retaining long-term cold data without using the same costly storage used for active data. The problem? Most legacy solutions have no way to identify inactive data and automatically move it to a less expensive long-term tier without breaking file hierarchies. 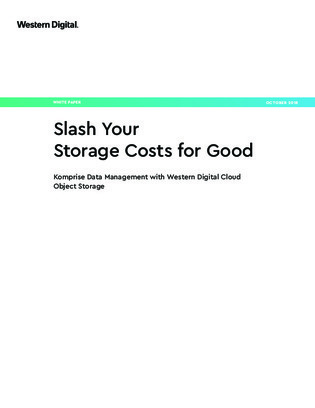 Now, what if you could slash storage costs by automatically moving that data to a cloud object storage tier—without disrupting your users or applications? Read on for one means of doing so.